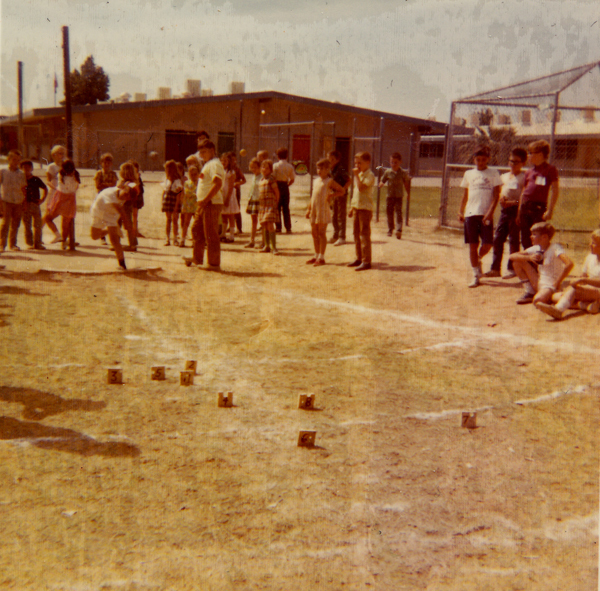 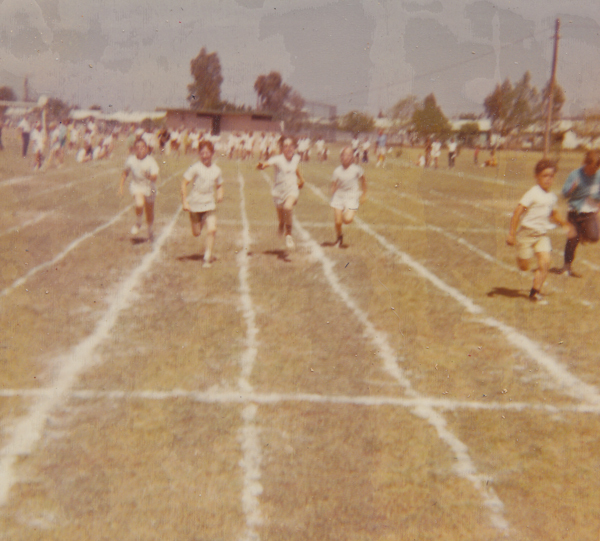 Below: Field day, 1970. 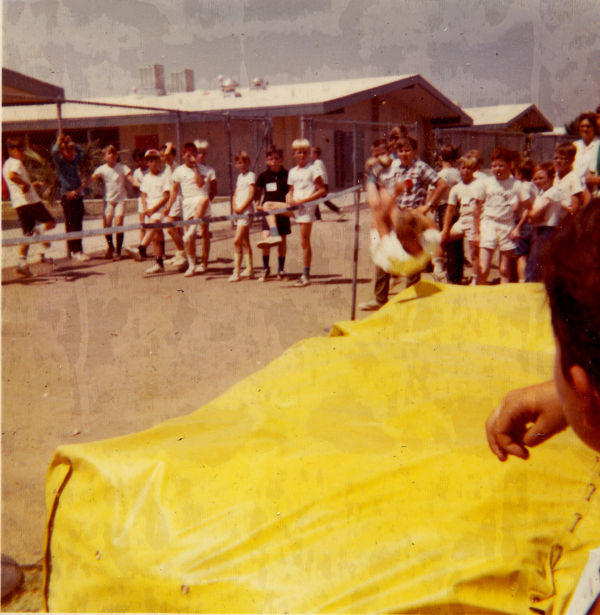 Photos courtesy Nancy Frank. 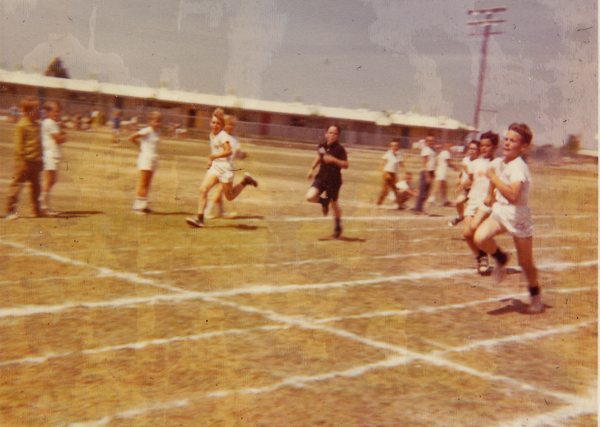 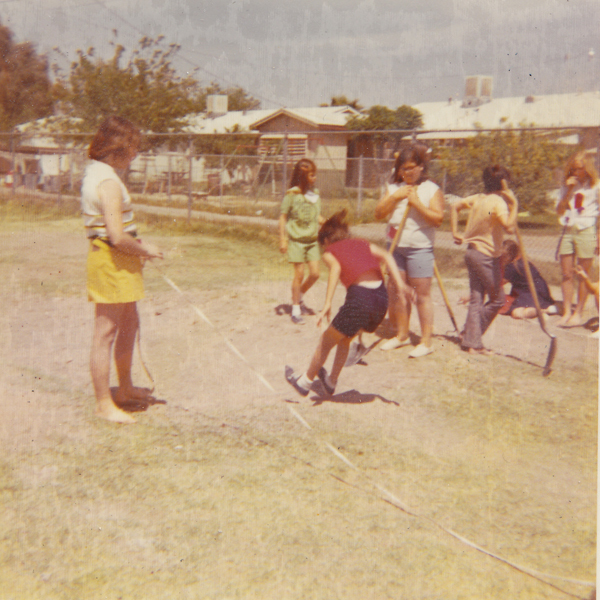 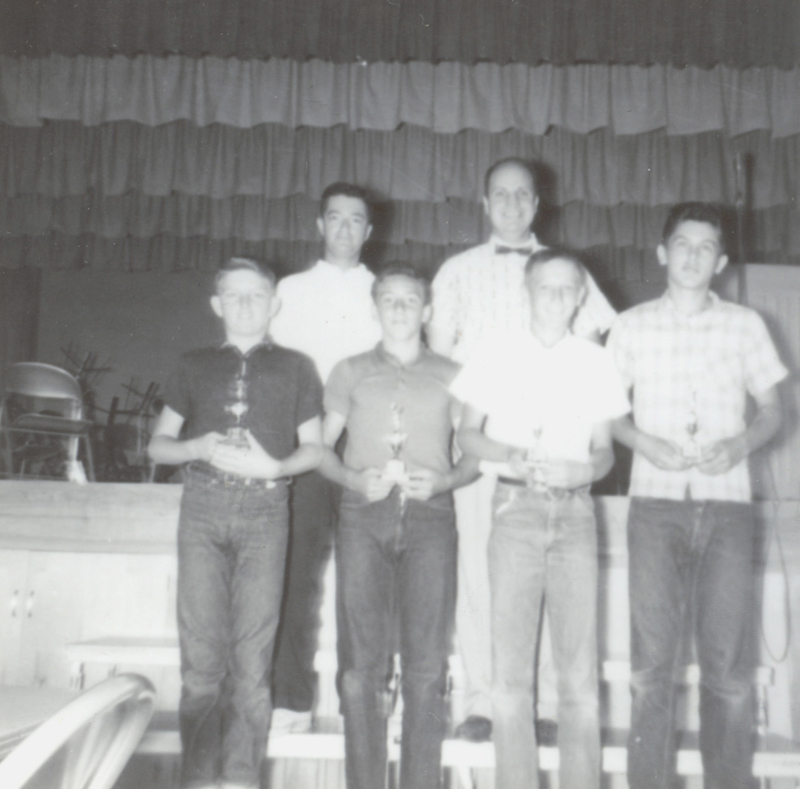 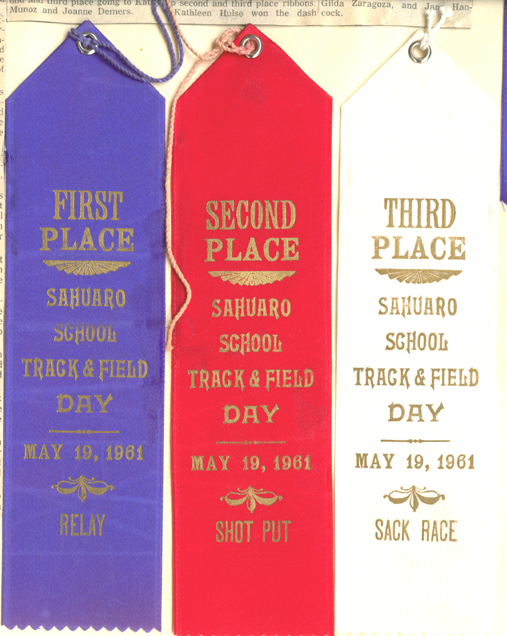 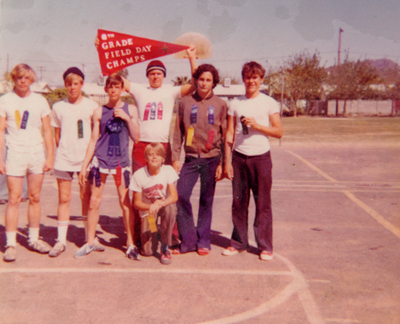 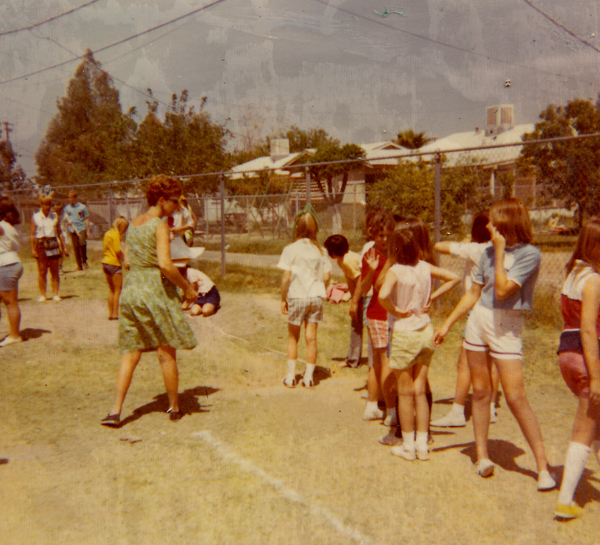 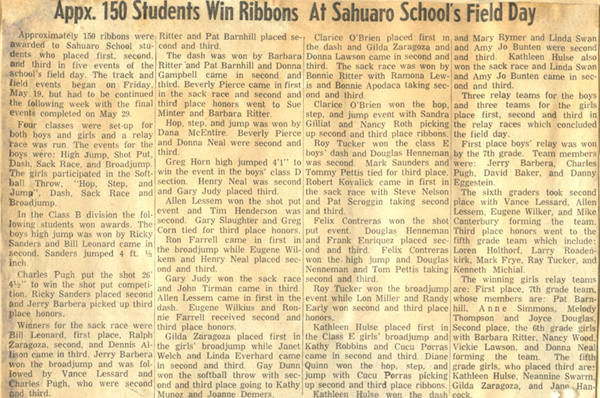 Above: 8th grade Field Day pennant champs, 1973.